The following courses and workshops are being offered in term 2. Please contact the tutor of the course to enrol. 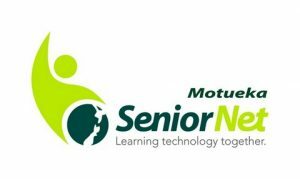 These courses are for paid-up members of SeniorNet Motueka. Paid up members of SeniorNet Nelson may also enrol. Interested seniors may attend, but please note that the fee is double that for members. If you are not a member click here for information on joining. Click pdf for a Downloadable PDF calendar of the term events. Come & hear about Judy’s experience of living in Iran for 5 years during the reign of the Shah. You will be shown rugs, objects & memorabilia from the period. Venue for part 1 is presenter’s home, group size limit = 12. Participants will research the internet for more information on Iran to share in part 2. Do you find navigating websites frustrating? Working together, we will identify the different areas of a typical website. Banners, drop downs, and links to other websites or emails will be covered. How do you know if the information on a web page is up to date and reliable? Is there a way of getting rid of annoying advertisements? There will be time for discussion and evaluating specific websites. If you have a computer, iPad or a smart phone you can use it to do all your banking on line. WESTPAC, a SeniorNet sponsor, have prepared an introductory course that will show you how safe and easy Internet Banking is. The first part of the course led by our local Westpac Manager, Louise Busson, covers how it works and the safe guards used. The second part includes demonstrations using a replica account and an opportunity to practice yourself. Part 1 offered by Age Concern. Adjusting to life without a car doesn’t have to mean losing independence & freedom; information & valuable insights provided into how to stay mobile. Part 2 will be a follow up at SeniorNet: talking about the impact of not having a car, & sharing solutions re planning and adjustment.